The torch is being passed. Will you grab hold? There is no greater return on investment than an educated, courageous woman, grounded in the liberal arts and Benedictine values, determined to change the world. The Illuminating Lives campaign is about just that: investing in young women who will make the world a better place. Through this multi-year, $100,000,000 campaign — the largest of its kind in our college’s history — we will illuminate and transform the lives of future students through greater access to improved learning and a fuller Saint Ben’s experience. 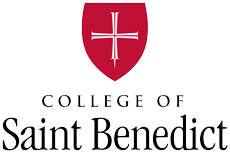 This is the moment when we illuminate the next 100 years for the College of Saint Benedict and future generations of Saint Ben’s women. The torch beckons your hand. We invite you to grab hold and join us! As Bennies, we know the impact of living our motto and letting our lights shine. We’ve seen it in the sisters who lit the spark more than a century ago. And we’ve seen it in generations of alumnae. Now we have our own chance to shine – simply by telling our stories. Bennie Conversations: How She Shines is an initiative to capture and preserve hundreds of recorded one-on-one interviews. Our goal is to record 500 of these alumnae conversations. But to do that, we need you.